© Scott Tyrcha, Jr. All rights reserved. 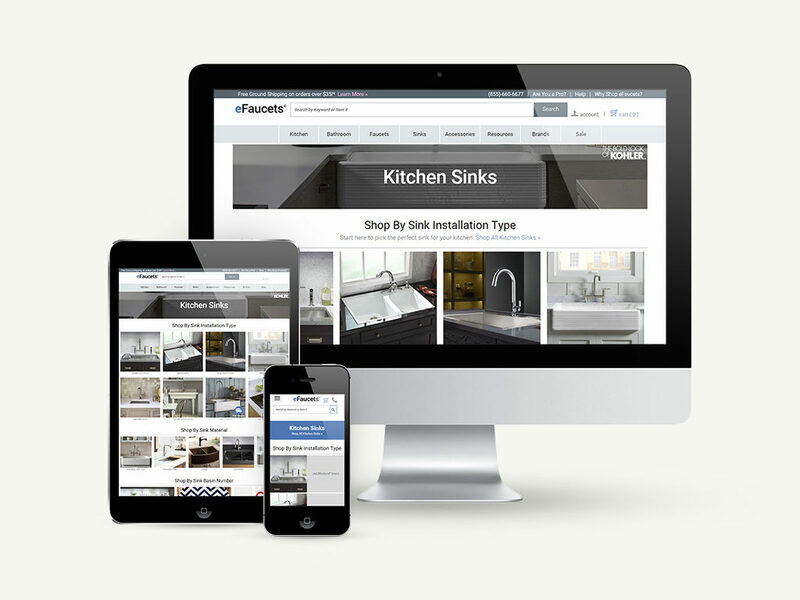 Featured here is the final working design for eFaucets.com's subcategory landing pages. The subcategory pages of eFaucets had become old, stagnate and had become wonky for the customer. Through researching websites in the same retail space and best-selling eFaucets brands/products, I was able to create a mobile-first customer experience. Once wire-frames were approved, I selected and formatted the lifestyle product images as well as hand coded the pages using HTML5 and CSS3. Since the pages have been updated, the pages have shown to have improved bounce rates as well as exit rates.